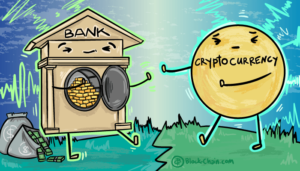 A study by the European Parliament Committee was released on July 20 that said the crypto markets could be reshaped by a central bank digital currency in the future. 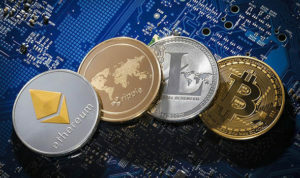 The report said that a central digital currency could be the “remedy” the crypto industry is needing to make up for the lack of competition policy in the sector. Centralized digital currency is a controversial subject in the crypto markets and industry at large. As the sector moves forward and evolves, it is only natural that calls for a centralized digital currency will be pushed, although this ethos does not sit well with crypto users who were attracted to the industry because of its decentralized nature in the first place. The study was commissioned by the European Parliament Committee on Economic and Monetary Affairs (ECON) and was released on Friday. The study also pointed out that other “disruptive and innovative applications”, such as artificial intelligence, biometrics, the blockchain, cybersecurity, cloud computing and other innovations are augmenting reality. The crypto markets are very dynamic and are born out of innovation and need to control our economic future. However, the report believes that private digital currencies are defined separately from central bank-issued digital currencies (CBDC). The report reckons that CBDCs are different because they are defined on conventional bilateral settlements with a trusted central party. That’s a lot of big words to inform us that a centralized digital currency run by a major financial institution would be more trusted than a privately run cryptocurrency. Although a move to centralize the industry might bode well for some and increase trust for investors, it could also be argued that having large cartels centralizing the crypto industry could, in fact, lessen competition. The EU has been taking a very instrumental role in regulating the crypto industry and in mid-July kick-started a new directive to set stricter transparency rules for digital currencies. The aim is to protect itself from money laundering and those financing terrorists, although in this day and age, it is difficult to know who the real terrorists are. It seems the quest for a centralized currency run by a few major financial institutes could well be brewing in the bowels of the EU. However, the reason crypto markets sprung up was to offer an alternative to the centralized monetary system that has been ruling for over 100 years.